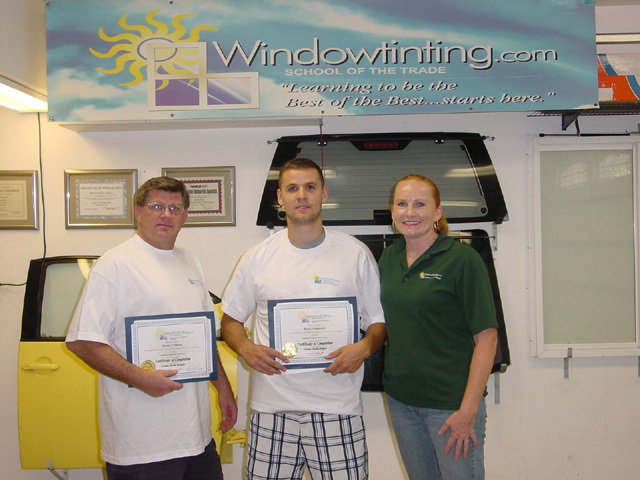 Once again, I knew very little, if anything, about the window tinting profession (especially about the flat glass tinting) before taking this 1-Day course; excellent experience. I now feel very confident that I can tint any home or office…Thanks Jaymi! Again, what can I say; training was great and I learned a lot about the 1-Day Flat Glass Course. Jaymi was super easy to understand and very helpful. I now know what it's all ABOOT…another worth while trip from Alberta Canada!